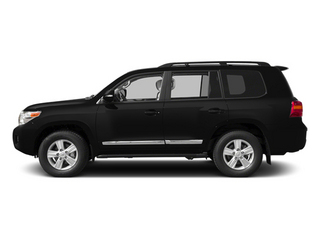 The Toyota Land Cruiser is an off-road icon, and over decades it's become a more well-rounded--but still very rugged and off-road capable--large luxury SUV. 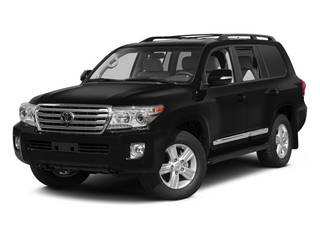 Compared to other large luxury sport-utility vehicles, the Land Cruiser is less showy and glamorous, while striking a balance between family utility, highway comfort and off-road ability. 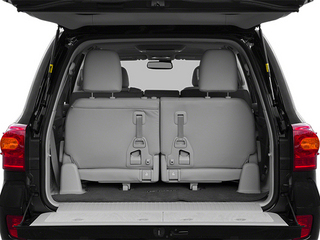 The Land Cruiser's excellent safety features and 3-row seating make it the ideal family hauler that can also do the weekend towing. 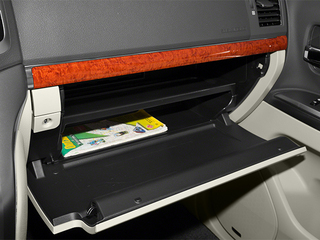 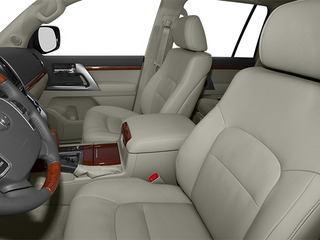 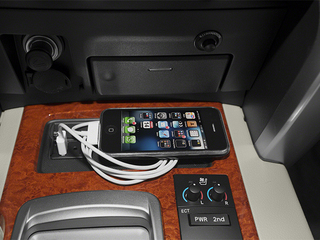 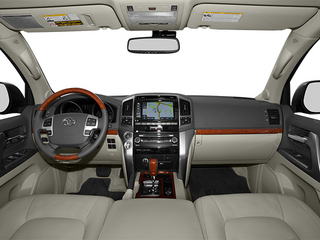 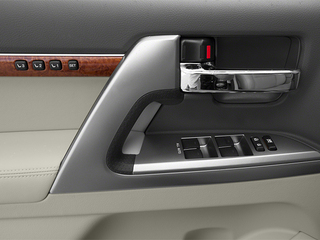 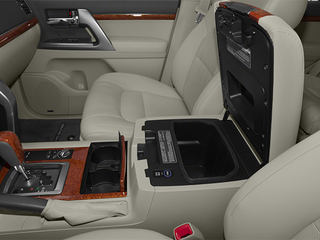 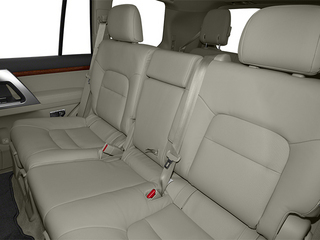 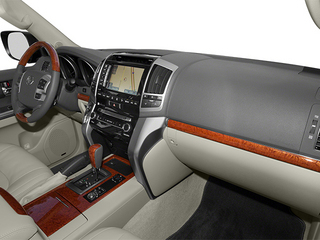 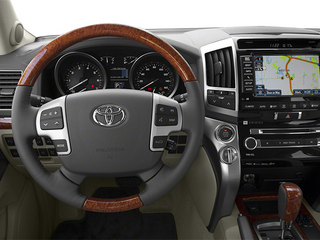 The 2014 Toyota Land Cruiser is only offered in one 'fully loaded' model, leaving little room for options. 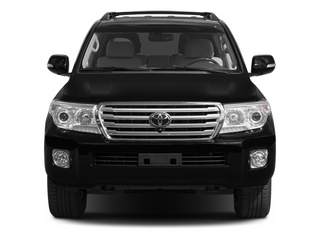 All Land Cruisers include a 381-horsepower, 5.7L V8 engine, along with a 6-speed automatic transmission and full-time 4-wheel drive. 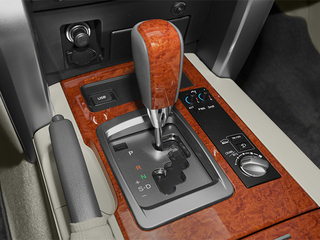 Meanwhile, the Land Cruiser's dual-range transfer case, with a Torsen limited-slip locking center differential, lets the Land Cruiser distribute 60 percent of engine power to the rear wheels during ordinary driving, yet is able to send more power to whichever wheels could use it the best. 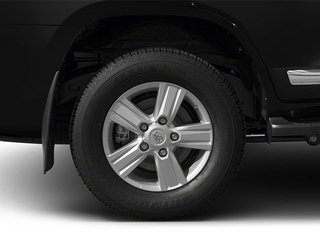 Crawl Control and an Off-Road Turn Assist and Downhill Assist Control (DAC) help maintain stability and steadiness over precarious off-road surfaces. 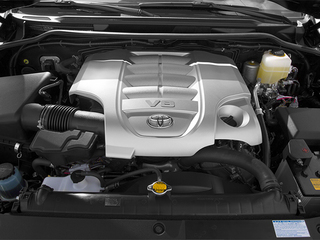 Variable-ratio power steering helps maneuverability off-road. 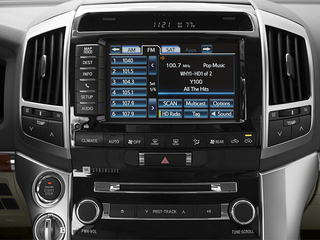 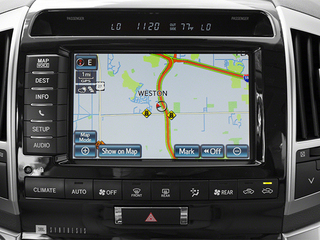 A so-called Multi-terrain Select system lets the driver dial in enough wheel slip to suit the type of terrain-- pavement, snow, sand or mud, for instance. 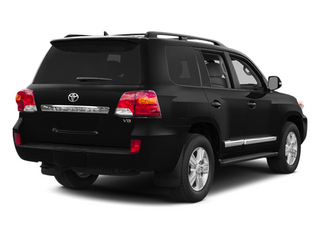 Considering the Land Cruiser's off-road capability, it's surprisingly nimble on-road. 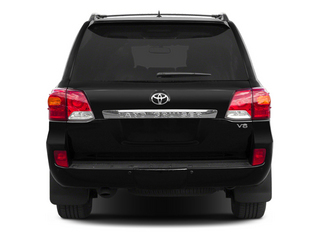 While the Land Cruiser isn't easy to park or maneuver in tight spaces, it's as much at home on the Interstate as it is on an off-road trail, with good high-speed passing ability and good stability on the highway.